Don't you just LOVE clean, gorgeous natural light? What could be better! I was in heaven putting this photo shoot together for my Phase III Additional Personal Submissions at Hallmark Institute of Photography. The goal of this assignment was to give us the opportunity to personalize a body of work that includes images which represent specific areas of interest to us. I personally love, love. I love real moments, that are true, emotional and stunning. 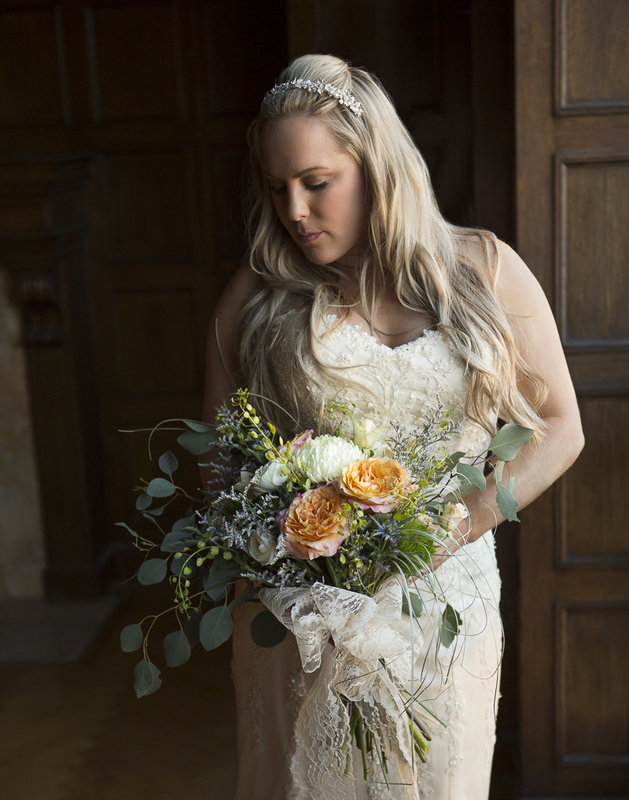 For this shoot I did my fair share of running around the Greenfield, MA area speaking to florists and bridal dress shops in order to put all of this together. A big thanks to Shelley and Danielle from The Bridal Barn & Tux Shoppe located in Deerfield, MA. Danielle was not only the perfect model, but she also helped me coordinate the style of gown, with the jewelry, head piece and all the little details. I was extremely fortunate to also work with Rebecca from Floral Affairs located in Greenfield MA. She is a true artist and her flower bouquets were masterpieces! I cannot thank her enough. The location above the Replay Music Store in Greenfield was perfect. The huge window gave me gorgeous natural light and the old wooden walls and floor were beautiful. And did you see that chandelier!?! Just wow. Also a huge shout out to my lady Amber for doing stunning hair and makeup and Yael for assisting me with the shoot! I could not have pulled this off without everyone involved and I appreciate everyone's time and effort helping my romantic vision come to life.